how can I tell if the instances in a dataset are i.i.d given a timeseries plot? So I have the following time series plot and I am asked if the data is independent and identically distributed and I'm not quite sure how I would tell? This represents the number of people going to a certain city over the months(x- axis) (10 year time period). Intuitively I don't think they are i.i.d, however, does the timeseries plot show otherwise? (This is my first time dealing with data visualization so I'm not well-versed with these things). I agree with you that this example is probably not iid - a waveform can be seen by the naked eye. Spectral analysis could be used to investigate this. In a nutshell, the signal should be transformed from the time domain to the frequency domain and the power spectrum examined. If the result is an unsloped line (all power components are more or less equal) then the signal is white noise and hence, iid. In this case I'd expect to see a spike in the frequency domain. Also for the record, if the signal is a random walk, then the power spectrum has a 1/f^2 form and pink noise is 1/f. Only white noise is 1/f^0 = 1 (constant power for all frequencies). Not the answer you're looking for? 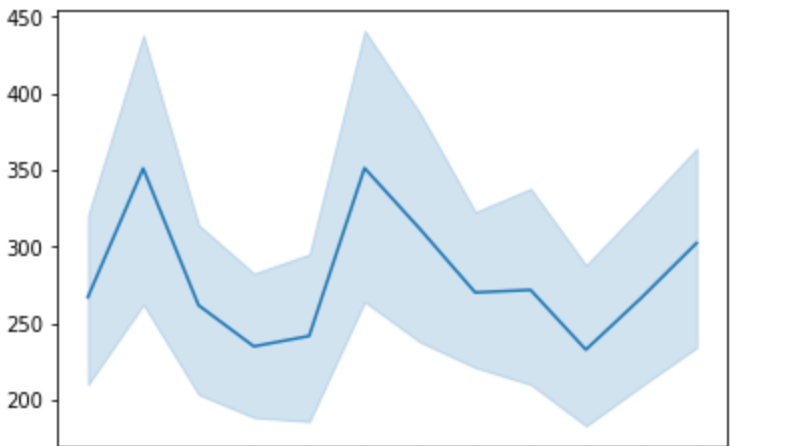 Browse other questions tagged time-series data-visualization or ask your own question. Is ACF plot enough to rule out auto-correlation in my model? How to work with time series data in predicting long-term unemployment?